First came Philadelphia, then the Philly Cheese Steak - ok, maybe not quite. 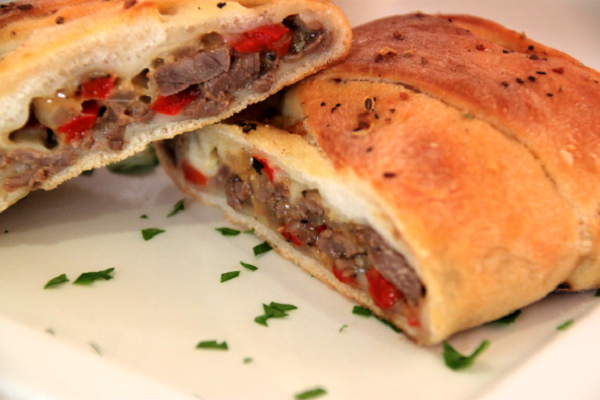 A delicious combination of thinly sliced top sirloin steak, onions, peppers and cheese, Chef Maria takes Philly's classic cheese steak and loads it up into classic Italian comfort fare, the Stromboli! 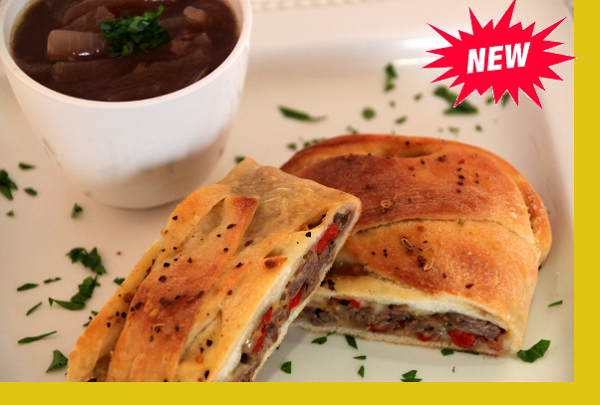 Made fresh and paired with a delicious, freshly made french onion soup sans cheese that doubles as a wonderful jus. 1. Pre-heat oven to 350 F 2. Place provided pan in the oven for about 20 minutes or until thoroughly baked 3. 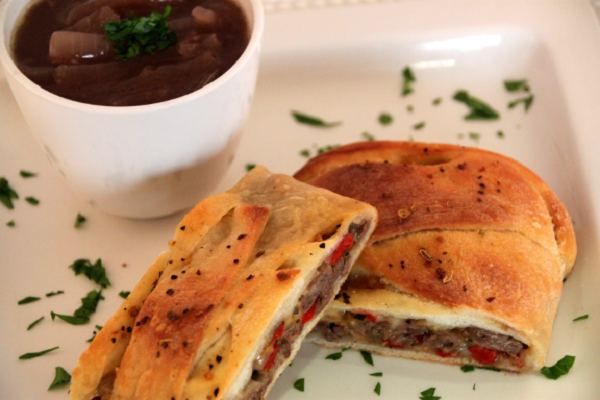 Reheat onion soup in microwave or sauce pan and serve. I did not totally love this. 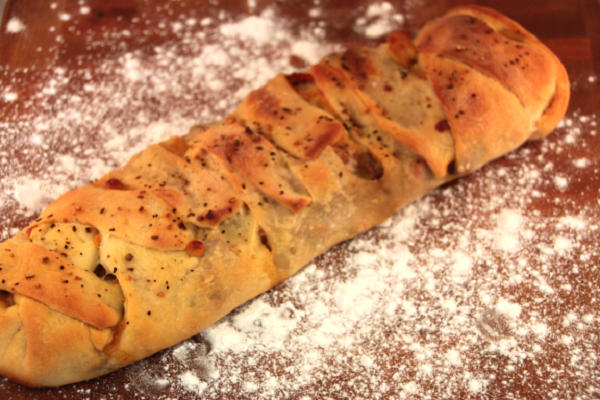 The portion was a tad small (the Stromboli), but it was pretty tasty. Wasn't nuts for the soup, but could tell it was really fresh!